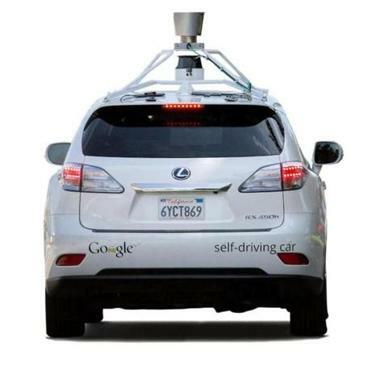 Could driverless cars, like this one from Google, eventually lead to the return of happy hour in Massachusetts? It’s Saturday afternoon but traffic on 93 South is at a crawl. Finally, the cause of our misery is revealed: a minor accident on the northbound side of the highway. Our delay has been due to curiosity, every driver slowing down to take a look — me, too, of course. If Google had its way, I think, this never would have happened. Machines don’t rubberneck. The Internet giant has just announced that it has tested autonomous cars — cars without a driver — for more than 700,000 miles on city and suburban roadways. What was once a novelty seems suddenly probable. And if Google’s dream comes to pass, what we’ll get won’t merely be some incremental improvements such as safer, speedier trips, but potentially a revolution, one almost as significant as that wrought by the invention of the automobile itself. The technology seems wondrous but is eminently practicable. Cameras and sensors are mounted on a vehicle. Matched with detailed maps, a comprehensive driving database and a sophisticated electronic brain, the otherwise conventional automobiles navigate streets better than any human. Google’s not alone in this experiment. Others such as General Motors and Toyota are working on their own versions of autonomous cars. You won’t be able to buy the cars this year but this isn’t a 100-year fantasy either. Five, perhaps ten years from now will see them coming to market. At first, they’ll be just like ordinary cars, with drivers able to switch from manual to autonomous as easily as going into cruise control. As the new vehicles become more accepted by regulators and the public, however, interesting things will begin to occur. For one, manual driving will become increasingly rare, in the same way automatic transmission replaced the manual clutch. Eventually, people will be able to “drive” without being trained as drivers at all. Your 12-year-old needs to go to basketball practice? Put her in the car, and off she goes. Mom and dad as chauffeurs will be a thing of the past. At some point, in fact, one can see states prohibiting people from driving at all. The autonomous cars will simply be that much better. Lives will be saved. More than 30,000 die on American roads each year, millions more are injured. Nearly every crash is due to some sort of human error. So too, traffic jams will largely disappear. Humans overreact to brake lights in front of them. Driverless cars won’t. In cases of congestion, the cars — all of them communicating with each other — will plot out alternative routes. With accidents rare, the need for bulky safety features will disappear. No more seatbelts or airbags. The interiors of cars will be reconfigured, looking like offices or game rooms. They’ll have room for standing and walking about. New businesses will be created; others will disappear. Mass transit will change fundamentally. Automated buses might be available on demand, or perhaps the new business model will be a cross between Uber and Zipcar. Rather than owning cars, urbanites will just call for a vehicle. One will be dispatched from some nearby location, pick them up, take them where wanted, and then go away. GEICO’s gecko and Progressive’s Flo will be obsolete, body shops will disappear, and we’ll have no need for taxi-, bus- or designated-drivers. Massachusetts may even allow the happy hour to return! The original car produced a mobile society, making it possible for people to live far away from where they worked. With faster, smoother commutes and time in the car now productive (rather than spent paying attention to the road), people will be even less constrained by travel concerns and distance in choosing where to make their homes. Commuters into cities won’t worry about parking; their cars will drive away to some remote location until needed for the ride home. Some perhaps will become true nomads, living their lives in far more sophisticated versions of Winnebagos. There will be losses as well. There’s a romance to driving, a thrill to getting behind the wheel and seemingly being master of one’s destiny. In this new world, if we want to drive automobiles ourselves, there doubtless will be off-road locations where we can try our hand. Otherwise, though, the car will be in control.